To some, a brand may just be a name, logo or corporate identity. To others it may be a trade mark or “trust mark” – a guarantee of consistent quality. To a brand-focused company it will be its most valuable and yet intangible business asset. A brand is perhaps best explained by adopting the perspective of the individual (whether shopper or user) rather than that of the company. A brand is the sum of that individual’s knowledge and feelings for a product, service or company, and provides the means for exercising choice and preference. Over time, a product or service may develop in an individual’s mind to become familiar, recognisable, reassuring, unique and trust-inspiring – in other words, a strong brand. Strong brands tend to grow as a result of companies taking continuous, careful note of what people want. Great emphasis is placed on consistency but also on research and development in order to meet individuals’ current and anticipated requirements better while staying one step ahead of competitors. Continuous innovation is often therefore an integral part of successful brand-building. “Branding” is the means whereby companies strive to create and build strong brands. Over 1 million people are employed and companies invest some £33 billion per year in the creation and building of brands in the UK. This equates to an investment in the economy of some £16 billion per year, according to Westminster Business School. 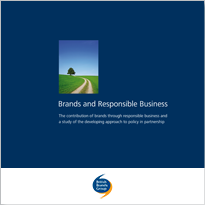 Great British brands such as Rolls Royce, Dyson and Johnnie Walker drive the UK’s export performance while the desire to build strong brands makes companies accountable, prompting socially beneficial and responsible practices. A person’s trust in a product or service has to be earned, by meeting a need consistently and better than alternatives. Such trust inspires loyalty, together forming “a reputational asset” for companies. 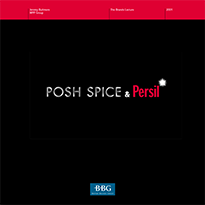 For a fuller understanding of brands, see the Brands Lecture series and, in particular, Posh Spice and Persil. A successful brand is developed by identifying people’s needs and tapping into their emotional response. It is then designed accordingly and a unique market position created for it. Developing brands is a risky business with many never making it past launch. For those that do, it takes time and consistency to achieve a strong reputation and become well-known. Someone may not realise they need something until they see it, so market research is essential to identify needs and respond to them. Needs are not static but constantly evolve as a result of such factors as changing demographics, wealth and technology. There is a close link between someone’s needs and product design and packaging. For example, food can be processed by canning, baking, chilling and freezing. The process and packaging chosen will also be influenced by criteria such as how the product is to be used (at home or away from home), ease of opening (for the infirm), portion size (for single person households) and affordability (for specific income or lifestyle groups). This is crucial if the product is to give value and be competitive. Product efficiencies (speed, waste control, capital intensity), marketing efficiencies (economies of sale, media choice), distribution efficiencies (cost of protective packaging, transportation, warehouse and selling costs) are all vital if the brand is to be competitive and affordable at all points of sale and in all product forms. This is the way in which the product meets the consumer need. For example, Pedigree® dog food is about nourishment and nutrition, Coca-Cola® is about continuous refreshment, KitKat® is an enjoyable and relaxing, between-meals snack. Positionings have physiological and psychological values and are given tangible expression by the unique selling proposition and reason why. For example, Pedigree® is “recommended by top breeders”; consumers are urged to “take a break, take a KitKat” . Since each brand is unique, its positioning must be too. Populations age, become richer or poorer and change their behaviour and values. A brand must remain constant throughout, making any necessary change in design, packaging and price, while always being good value. Constantly changing technology can improve benefits, such as cans with easy-open ends. Brand leaders need to be one step ahead of the field in bringing those benefits to individuals. 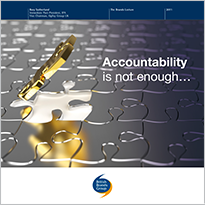 To achieve quality, products must never deteriorate or become inferior to the competition. The positioning of a brand is its promise to the individual. Changing positioning is breaking faith with them. 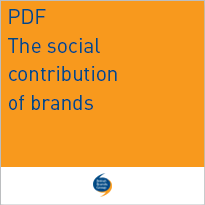 External factors such as packaging, distribution and media communication will all change to ensure that the brand’s reputation and recognition are retained and strengthened, but its position must remain constant. 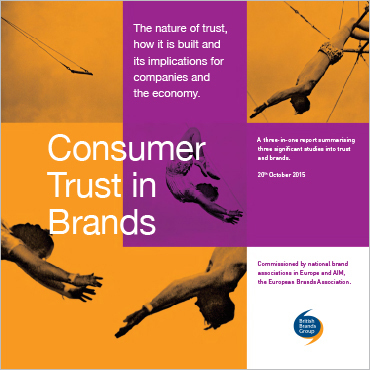 To read more, see the study Brands and consumer trust. 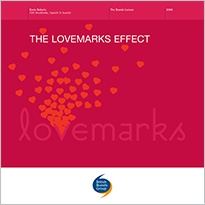 And in the Brands Lecture series see 100% marketing, The Lovemark effect, Brands, capital and crises and Brands and CEOs. Although you may not realise it, everyone is affected by brands in some way and they influence the choices we make. Below we look at how brands affect all our lives – as individuals, in the broader economy and in society. The relationship between the individual and a branded product is one of implicit mutual benefit. The individual is given choice, confidence, quality, value and convenience and as a result the product, and the brand, is able to grow. Although individuals may be happy to shop around, they are often unwilling to take a risk with an unknown product. Brands have to earn and maintain a reputation for consistent quality and reliability. That takes the uncertainty out of the buying process and inspires trust when the product delivers its promise throughout its lifespan. Branded products must remain at the forefront of innovation and be the first to deliver improvements that are relevant to their brand promise. The result is a diversity of branded products designed to meet the needs of different individuals and the needs of the same individual but on different occasions. Once, quality was the single differentiating feature of branded products and it still remains a central consideration for individuals. The product must perform as expected, time after time. At the same time though, innovative, quality products need to be carefully priced in order to provide competitive value. Our busy lives mean that many of us make our buying decisions very quickly. 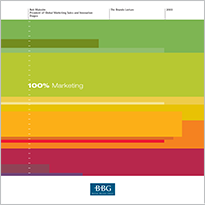 Brands provide “shorthand” information about products in a crowded marketplace. What’s more, consumers demand convenience, so brands need to be found in convenient locations and in different types of retail outlets, on the high street as well as online. Brands live or die by how they meet (or fail to meet) our individual needs. Loyalty and support is hard won and easily lost and without retaining people’s support, a brand will quickly wilt and die. 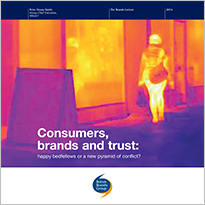 To read more, see Are brands good for Britain?, Posh Spice and Persil, Accountability is not enough and Consumers, brands and trust: happy bedfellows or a new pyramid of conflict? 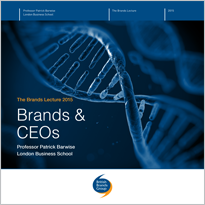 in the Brands Lecture series. While brands may rest in the minds of each of us as individuals, their economic power comes from their influence over our buying behaviour. We may buy as individuals, but when individuals make the same choices in their thousands, millions or billions based on the brand, significant economic value is created. Our trust and confidence in our brands re-assures us they are safe to buy. A familiar brand on a new, unfamiliar product may encourage us to try it. Meanwhile a familiar brand in an unfamiliar retailer, whether on the high street or online, may encourage us to shop there. In short, they encourage people to participate in markets and to try new ways of living and working. Branded products may compete on a range of fronts, including quality, reputation, emotional appeal and price. In contrast, commodity products tend to compete solely on price. Stronger competition brings value to consumers, keeping prices low. Brands and branding are correlated with economic growth, with consumer insights and investment in innovation creating new markets and growing existing markets. Underpinning all successful brands are trade marks, with government research showing firms with trade marks growing significantly faster than others (source: Trade mark incentives). 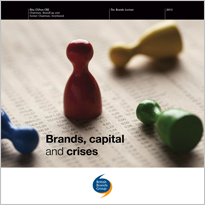 Evidence also shows brand-led growth to be robust, with the value of the top 100 global brands growing by 19%-24% between 2008 – 2013, despite the global economic downturn (source: Brands – Reputation and image in the global marketplace). 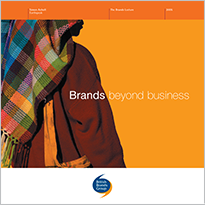 Brands comprise a significant part of many companies’ value and are often their largest, most important asset. According to Millward Brown, brands account for more than 30% of the stockmarket value of companies in the S&P 500 index. 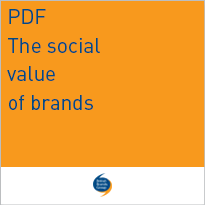 The average value of the top ten brand values per Member State equals €35 billion but amounts to €138 billion in the United Kingdom (source: Brands – Reputation and image in the global marketplace). Branded companies must innovate continually to sustain their promise to individuals and stay ahead of the competition, otherwise they risk becoming obsolete. Branded fast moving consumer goods (FMCG) companies invest larger sums and invest more efficiently in innovation than industry as a whole, creating superior economic growth and productivity (source: Brands, innovation and growth). An analysis of the PIMS database found that FMCG branded businesses achieve greater increases in productivity through higher and more efficient investments in R&D. The additional value added can be more than double the average for industry as a whole (source: Trade mark incentives) and firms with trade marks generate over 29% more revenue per employee (source: Intellectual property rights and firm performance in Europe: an economic analysis). Many skills and disciplines are involved in bringing us branded products, including market researchers, scientists and technicians, designers, engineers, logisticians, quality controllers, marketers and those in consumer care. Research by agencies of the European Commission found that trade mark-intensive industries provide 20% of EU jobs and pay a 42% wage premium (source: Intellectual property rights intensive industries: contribution to economic performance and employment in the European Union). Firms with trade marks also employ 6 times as many employees (source: Intellectual property rights and firm performance in Europe: an economic analysis). Branded products make a significant contribution to UK export performance (trade mark intensive industries contribute over three quarters of EU export trade by value). Branded Scotch whisky accounts for some 25% of all UK food and drink exports for example. 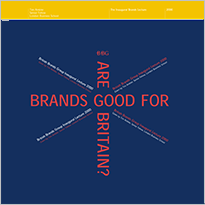 As importantly, UK branded exports such as Rolls Royce, BBC, Dyson and Burberry strongly influence perceptions of the UK overseas, contributing to the UK’s reputation. The economic contribution of brands crosses sectors, comes from SMEs as well as multi-nationals and is geographically dispersed. For example, Barr’s Irn-Bru soft drink comes from Cumbernauld, Baxters soup from Fochabers, Ty Nant water from Bethania and McCain chips from Scarborough. 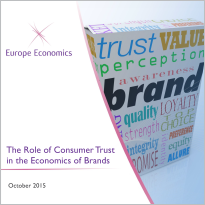 To read more, see the study The role of consumer trust in the economics of brands. The idea that brands have real value to individuals, the companies behind them and the economy generally is well understood. They also have value to society as a whole, making a valuable contribution to our collective lives. This social value arises from stimulating and making accessible innovations that make a real difference to our lives and our planet, strengthening competition, protecting us as consumers, providing a strong incentive for responsible business behaviour and encouraging social cohesion. They also create the wealth that make these contributions possible, in a virtuous cycle. An example of the impact on our quality of life and the time is the chore of washing clothes. In the early 1900s, Monday was “wash day” and washing literally took all day. Innovations in machinery and detergents have replaced this drudgery with a 45-minute (unattended) washing machine cycle. Many of these innovations arise from technological advances but it is the brand that makes the technology meaningful, gives us the confidence to try it and ensures we derive greatest benefit, in greatest numbers. A recent innovation is Ariel’s “Turn to 30” which encouraged many consumers to wash at lower temperatures, saving around 60,000 tonnes of CO2 emissions. A strong brand delivers its promise consistently, time after time, and brand-focused companies recognise their reputations will be harmed were they not to. They will do their utmost to ensure products do not disappoint and, should things go wrong, will be quick to address the problem. 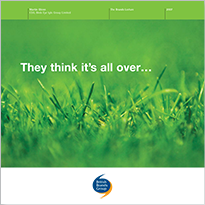 The result is strong consumer protection, motivated by strong self-interest, not regulation. Today we require the products we buy not only to perform but to be produced in a way that we consider responsible, whether in relation to the use of resources, the social costs of consumption, the working conditions of staff or the impact on communities. 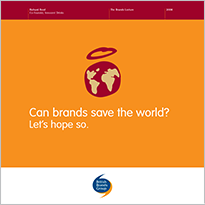 Branded companies are acutely aware of our needs and values and the necessity to do the right thing in the right way if they are to sustain and build their reputations.